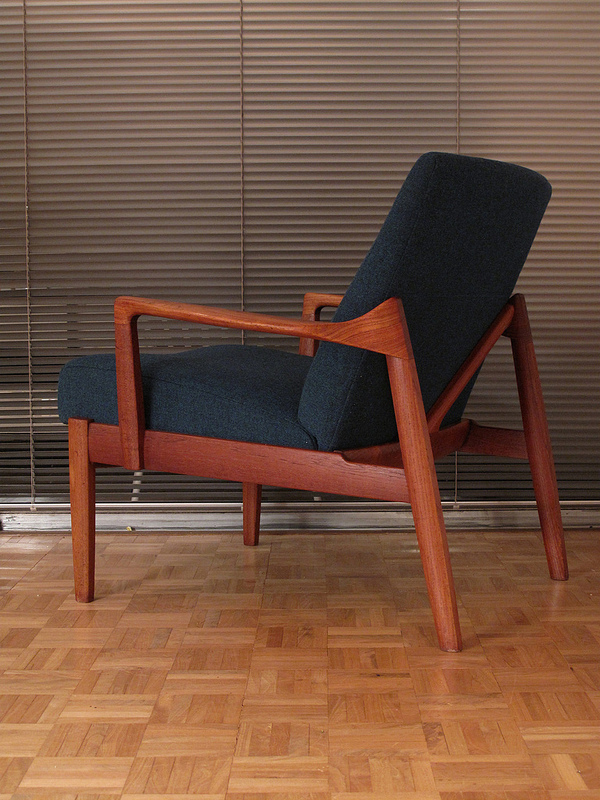 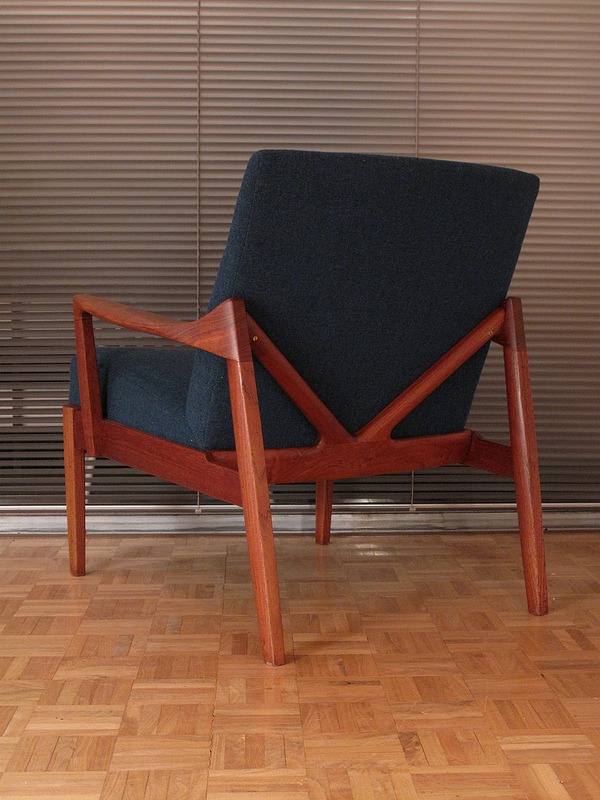 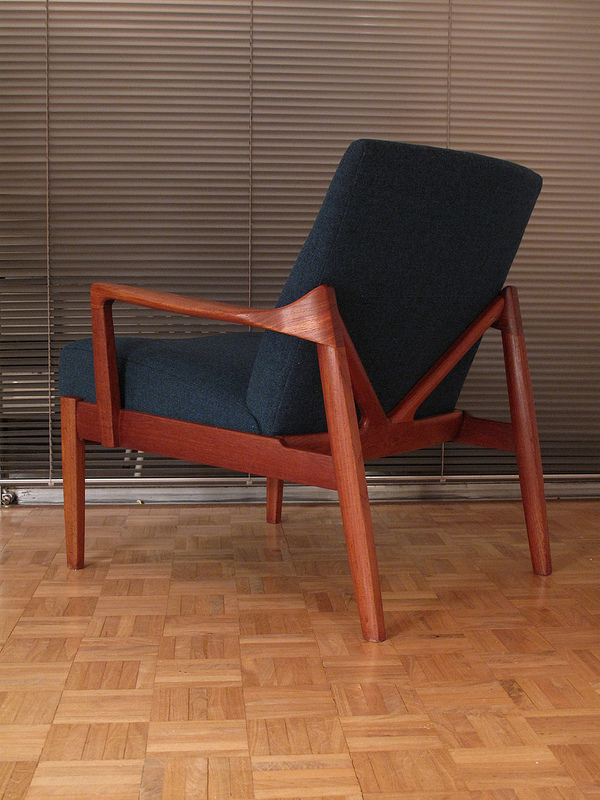 A very hard to find and very sculptural lounge chair from husband & wife designers Tove & Edvard Kindt-Larsen. 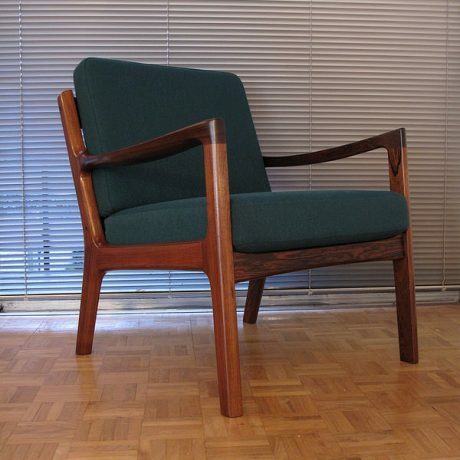 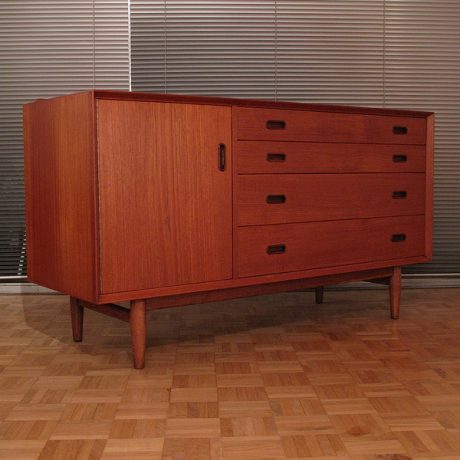 The Kindt-Larsens specialised in furniture design but they were also active in other disciplines such as architecture, silverware and textiles. 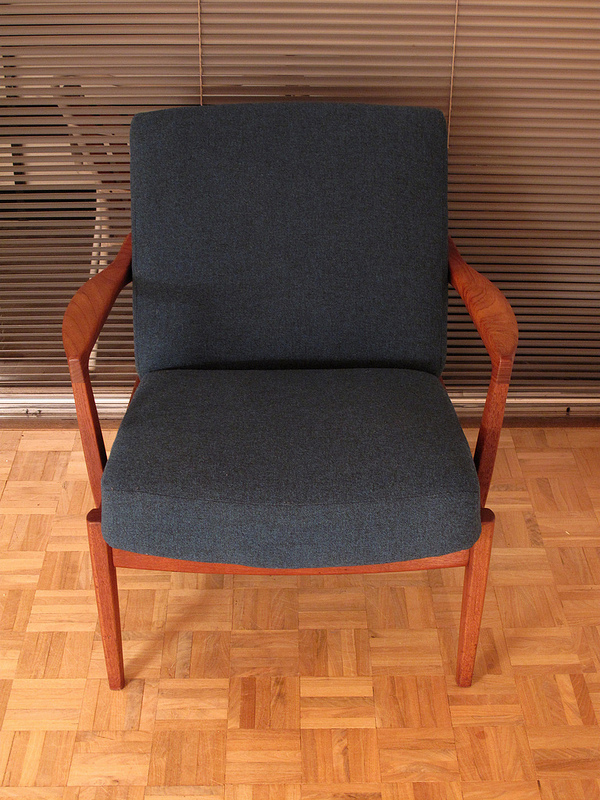 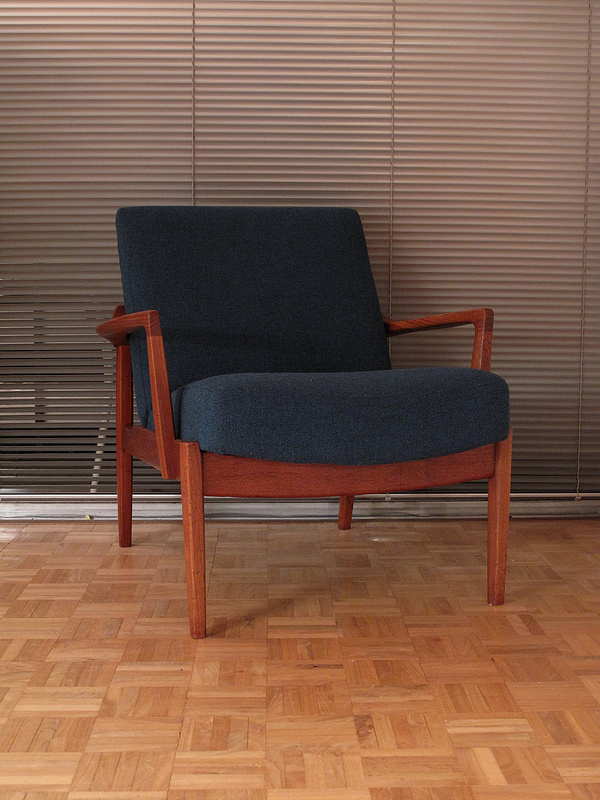 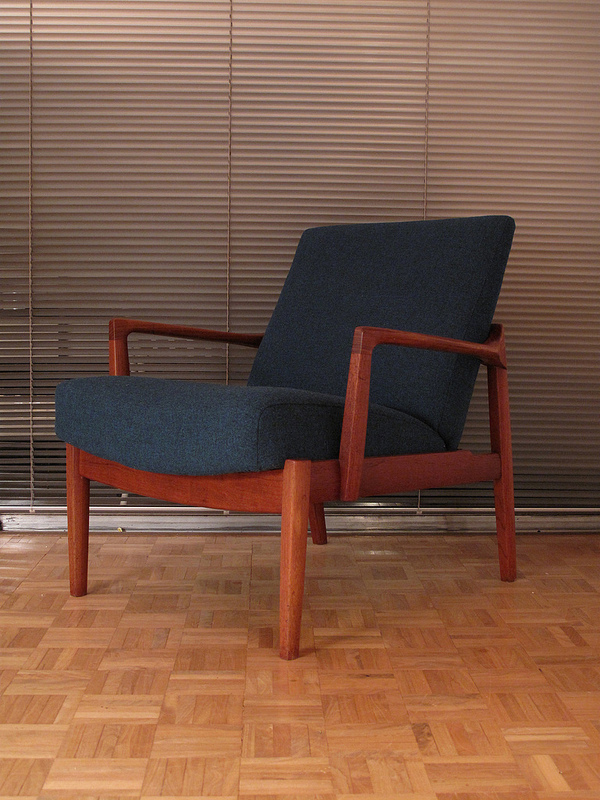 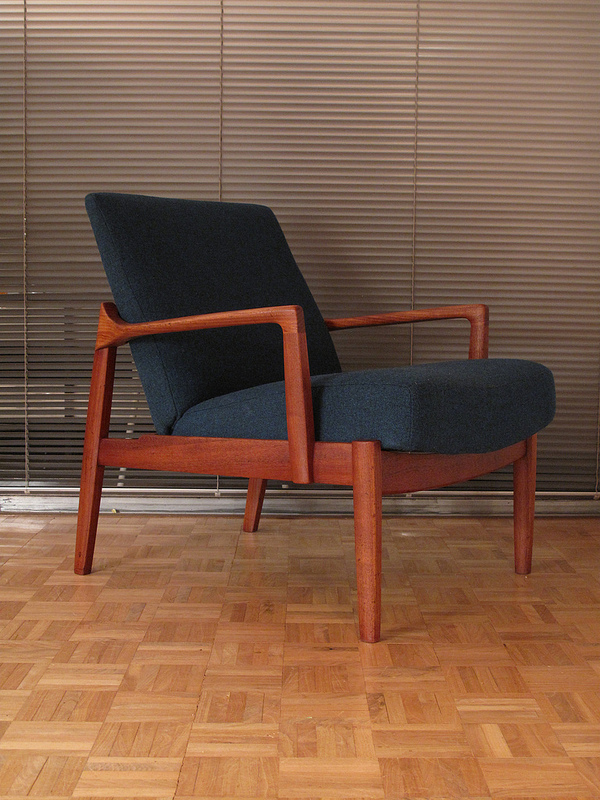 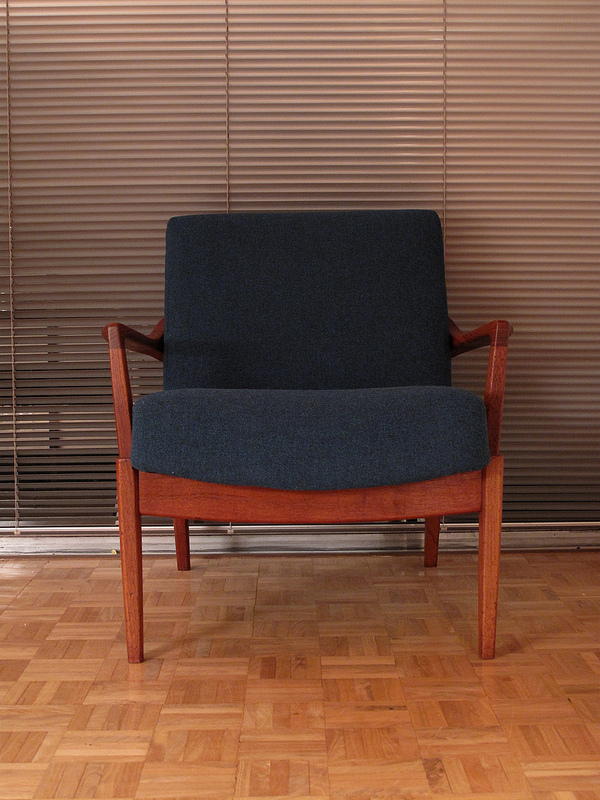 This chair was designed in the late 50’s for France & Son. 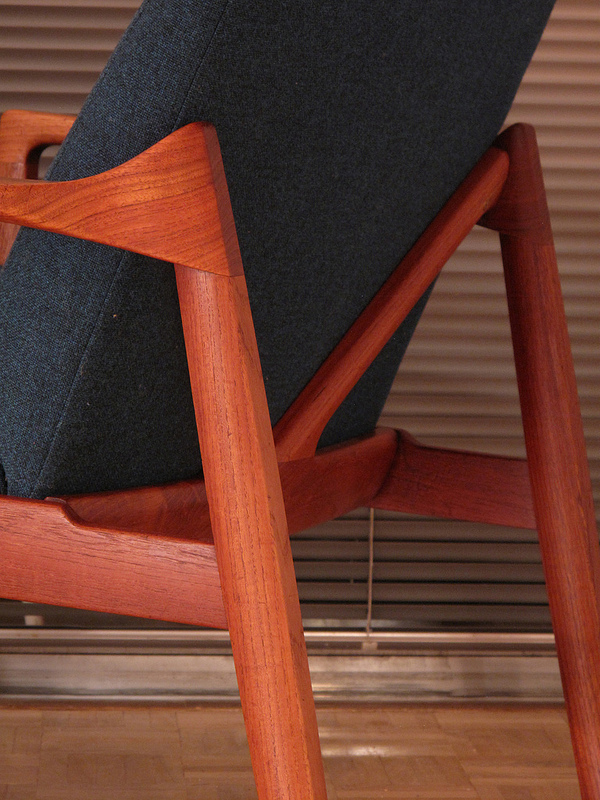 It features a very eye catching cross section backrest. 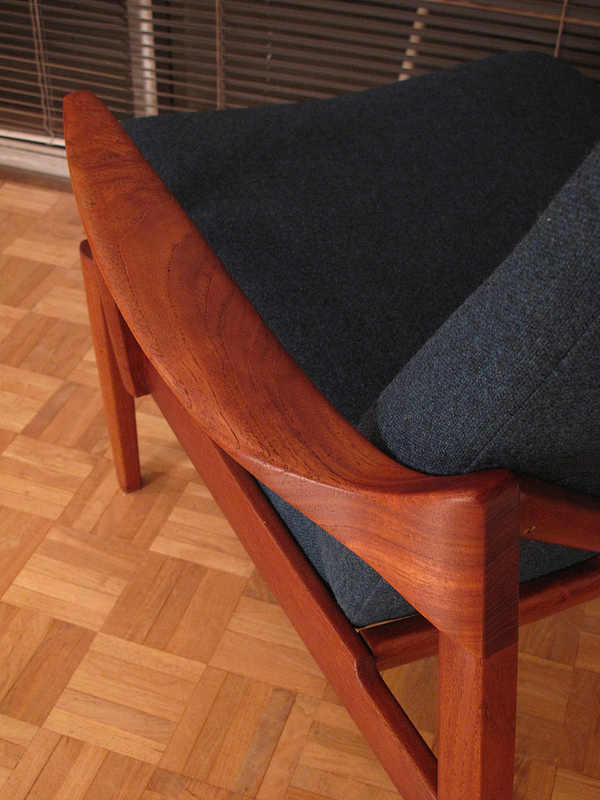 The seat and backrest are fully sprung making this an incredibly comfortable chair. 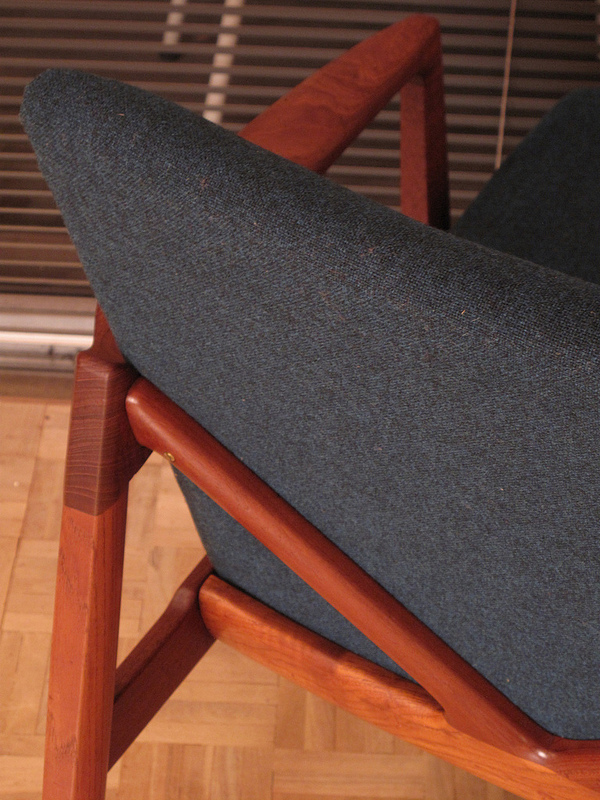 We have reupholstered in Kvadrat tonus, this colour is very very close to the original colour offered in the late 50’s and contrasts beautifully with the colour of the timber. 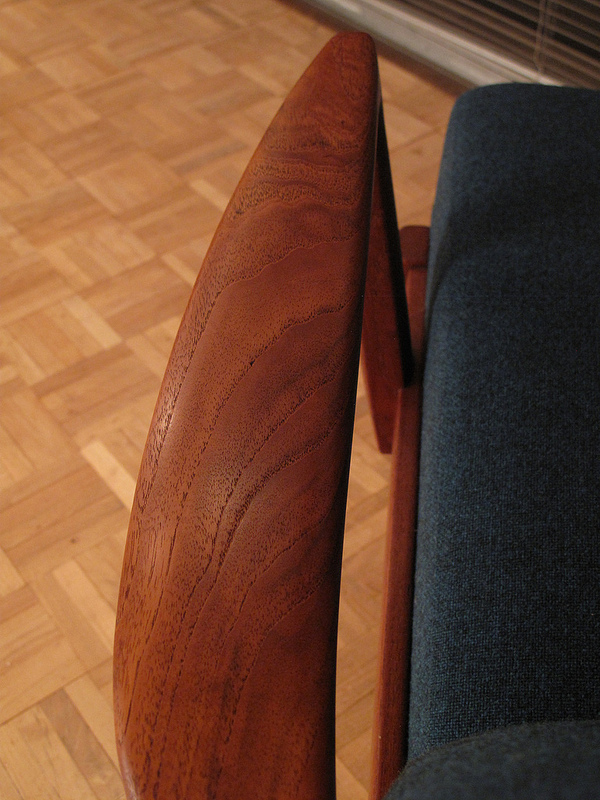 The timber on this example is particularly nice with some of the finest grained teak we have seen.